Album Concept and Design: J. Scarkino & Co. Following HORIZON, the seventh studio album from Carpenters was A KIND OF HUSH. Featuring classy packaging with its wood-grain, window-pane theme, classy custom labels, and even logo-printing on the interior of the jacket, A KIND OF HUSH is a bit of a hit and miss affair. “There’s A Kind Of Hush (All Over The World)” as the title track became the first single, molded as a sort of sequel to the #1 hit “Please Mr. Postman”, but it only managed a #12 on the Billboard pop charts as even fans began to be fatigued by the barrage of older material. And this album not only had the oldie title track, but incredibly a remake of Neil Sedaka’s ’60s hit of “Breaking Up Is Hard To Do”. A more personal-sounding song and later fan favorite “I Need To Be In Love” followed as the second single, but only managed a #25 peak position (though it reached #1 on the adult contemporary chart). Things really begin to go off the rails with the third single, “Goofus”, a head-scratching choice all the way around that placed no better than #56. 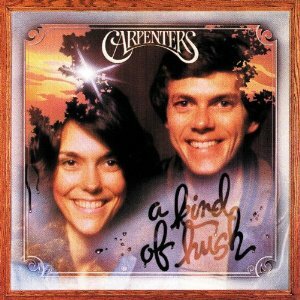 Such was the power of Carpenters at the time that even a strange song choice like “Goofus” would chart at all. Some of the album tracks like “You”, “Sandy”, and “One More Time” are looked upon more favorably than the singles. “Can’t Smile Without You” was reworked with slightly different opening lyrics just for the privilege of being a b-side to a later single (“Calling Occupants Of Interplanetary Craft”). 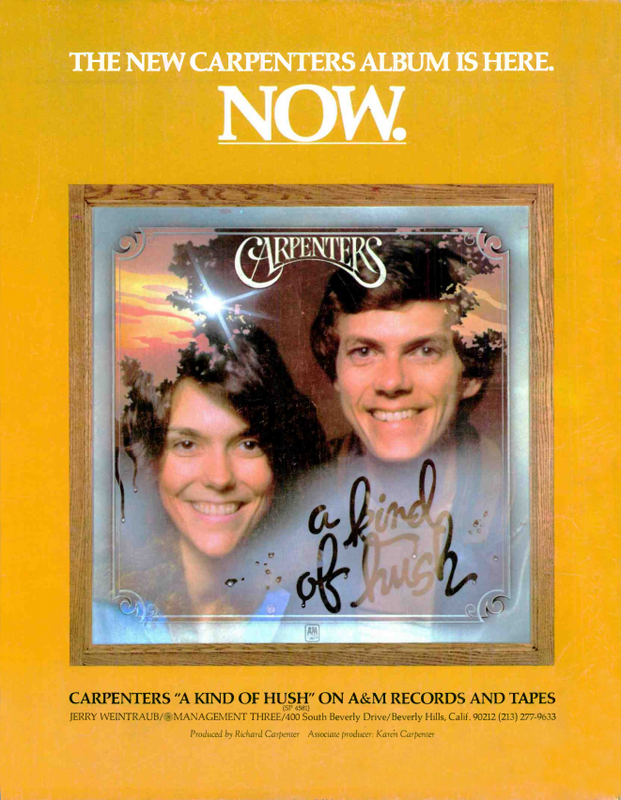 When A KIND OF HUSH was first issued on CD by A&M in the ’80s, it featured two changes from its vinyl days. First up is the 1985 remix of the title track. Later, instead of the “I Need To Be In Love” original album mix, a shorter 1985 remix was substituted. These were changed back to the original vinyl mixes for the Remastered Classics version in 1998, and a few cymbal hits that had been missing from “Breaking Up Is Hard To Do” on both vinyl and the old A&M CD were now present. On the Remastered Classic, the song “You” was slowed down for some reason.